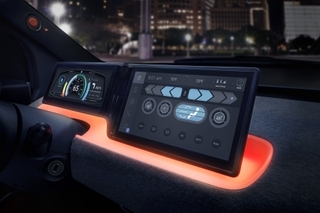 IFA 2016 - HARMAN International Industries, Incorporated (NYSE:HAR), the premier connected technologies company for automotive, consumer and enterprise markets, introduces Harman Kardon Omni+. This Wi-Fi enabled Multi-Room HD home audio system is elegantly designed from the inside out and delivers the most vibrant Hi-Definition sound to every room. Play music from your favorite apps, such as Spotify and Google Cast, directly through your home speakers, while the Link button effortlessly connects multiple Omni+ speakers in any room at the touch of a button giving consumers connected sound throughout the home. The optimized Harman Kardon controller App makes setting up the system and streaming music easier than ever. 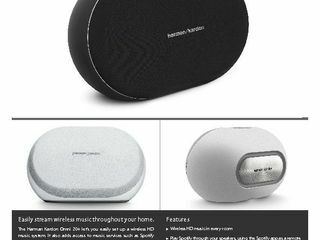 The Harman Kardon Omni+ lineup boasts a wealth of streaming services including Spotify Connect and Google Cast for audio, and other key services like Deezer, Qobuz and Tidal in addition to stored local content on any device accessible via the Harman Kardon Controller App. With Google Cast for Audio, hundreds of streaming services can be accessed, including Google Play Music, Pandora, TuneIn Radio, Rhapsody, and many more, allowing customers to listen to what they want, how they want, all in HD sound. The Omni+ line supports quick setup, including Apple WAC, so consumers can spend less time configuring their system and more time enjoying amazing Harman Kardon sound. Each product also supports Bluetooth and auxiliary audio inputs that can be restreamed to any Omni speaker in the home. 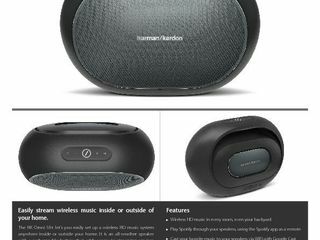 The new, redesigned Harman Kardon Controller App for iOS and Android smartphones and tablets provides a significantly optimized interface that makes setting up the system and streaming music easier than ever. With this app, speakers can be controlled separately or rooms can be grouped together.. Party Mode lets homeowners play the same music throughout their connected home. 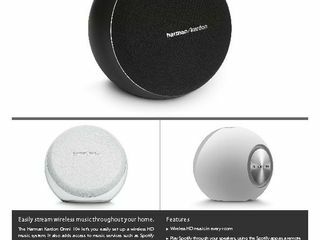 The Harman Kardon Omni+ offers true lossless high-definition music streaming (24-bit/192kHz) for a superior audio experience at higher resolution than a CD. 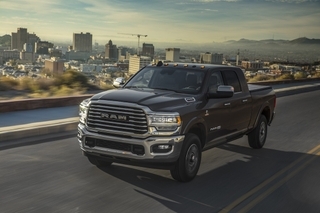 This gives consumers a listening experience that delivers more clarity and the detailed nuances of a performance. With support for 802.11ac 2.4G and 5GHz high speed networks, the Omni+ provides consumers a faster, higher quality connection with more stability and less chance of interference. The product line includes the Omni 10+, Omni 20+ and the portable Omni 50+. The Omni50+ offers IPX5 splashproof and outdoor capabilities. Music lovers can start with one OMNI+ speaker, add more, and stream their music everywhere throughout the entire house. In spring 2017 the line will be enhanced with a compact soundbar (Omni Bar+) and with the HD Wireless Audio Adapter (Omni Adapt+). The new Omni+ products are mostly compatible with the first generation Omni products so users can upgrade and connect their Omni+ speakers with their first generation Omnis. The Harman Kardon Omni 10+, Omni 20+ and Omni 50+ speakers will be available in Europe this fall, 2016, at www.harmankardon.com. The Omni Bar+ and Omni Adapt+ will come available Spring 2017.